Home | Innovation & Engineering Excellence > Blogs > Inspirations > Don’t Let Anyone Dirty Your Windscreen! Don’t Let Anyone Dirty Your Windscreen! #Driving in a storm you need to keep your wind screen vipers on, so that the water and mud that gets thrown into your car is removed. 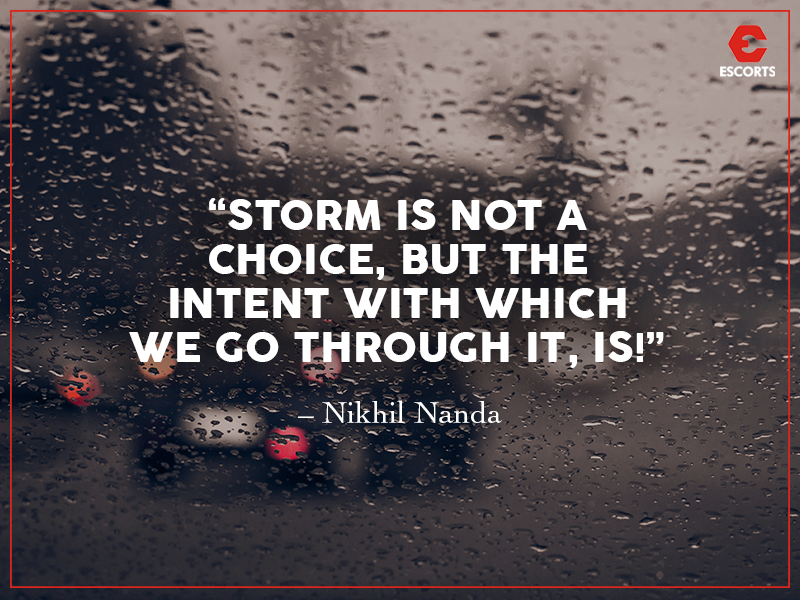 In real life too we all go through storms, I call them the people storms… These storms come at us with all the #negativity and tactics people use to puncture you. The human storms are difficult to forecast unlike the nature storms, that’s because most people now a days wear masks and we seldom get to see the real face behind that mask. In today’s times, people are at war with people, and their conscious level from where they operate is at its lowest level. This lowness causes a lot of rift and gets our society to function in a destructive manner. In a real war, people use bullets… in peoples war it’s all about self interest and greed to succeed at all cost even if it means you have to paying that bill. Going back when I was a kid, I remember spending my holidays in #Mumbai with my grandparents and one night I was asleep and was woken up by a house helper, my granddad had asked for me (the late #RajKapoor), I went down to his room and the conversation that we had that night is something that I remember till date. I was only twelve years old and perhaps too young to understand many advice he had for me that night, but as I grew older, they became my guiding light. I was amazed with his answers…. Today when I reflect back, I think does it also apply to the corporate sector ? Don’t mistake goodness with softness…..
Our windscreen has its challenges of all kinds of storms , yes the body of the car representing our mental and physical strength to sustain and come out stronger. This is the choice we all make in life, to either operate from goodness or with bad intentions. The world which is the camera, will at the end capture your choice in what ever profession you choose to operate…..
#Storm is not a choice, but the intent with which we go through it, is! So true! one needs to constantly wipe the windscreen in todays scenario. But lifes challenges can probably be better circumvented with communication, teamwork and sharing of intent, to win over unnecessary complications which thwart our good intentions, simply because of lack of comprehending true targets and goals. Goals that are for the common good! Success should come for ALL for the good of humanity as a whole! Nikhil ji, greetings of the hour, thanks for sharing such brilliant insights of your maternal Grandfather the wonderful , magnanimous Shri Raj Kapoor Ji. i am believing that our mind is a magnet and whatever we are thinking dreaming , we are attracting. so if i am thinking and applying for success, and harmony that is what i am going to attract.